The Great 78 Project is a community project for the preservation, research and discovery of 78rpm records. From 1898 up through the 1950s, an estimated three million sides (~3 minute recordings) were made on 78rpm discs. While the commercially viable recordings will have been restored or remastered onto LPs or CD, there is still research value in the artifacts and usage evidence in the often rare 78rpm discs and recordings. American Women Making History and Culture: 1963-1982 is a collection of 2,024 recordings from all five Pacifica Radio sister stations - KPFA-FM Berkeley, KPFK-FM Los Angeles, WBAI-FM New York City, KPFT-FM Houston, and WPFW-Washington, D.C. - highlighting both Pacifica's contributions to the women's movement; as well as women's unique contributions to Pacifica Radio programming from 1963-1982. 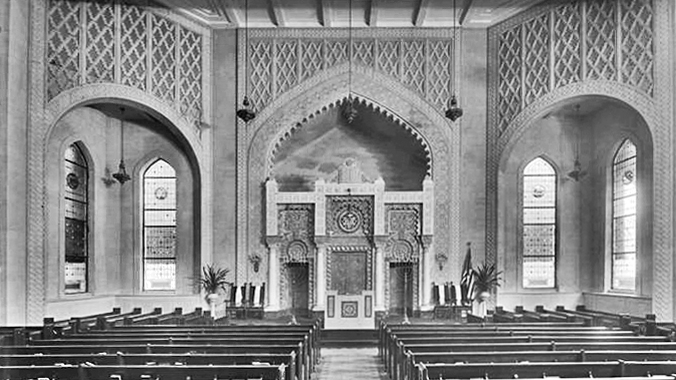 Since 2013, George Blood L.P. has been working with Park Avenue Synagogue to digitize their audio archives. These archives consist of open-reel audio recordings of nearly every sermon, musical service, and special event from 1954 to 2004! At George Blood L.P. we have meticulously digitized these reels, making sure that the pitch of the musical performances is accurate- which is no small feat. Visit the Synagogue's archive here to listen to some of these fabulous recordings!